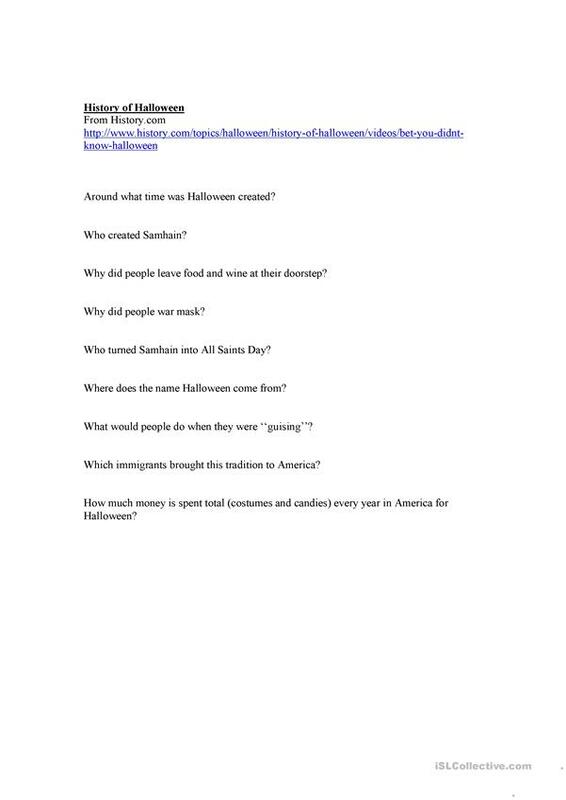 Short video explaining the history of Halloween (from history.com) and questions that students have to answer. The above downloadable printable is intended for business/professional students, high school students and adults at Intermediate (B1), Upper-intermediate (B2), Advanced (C1) and Proficient (C2) level. It centers around the topic and words of Halloween. lamb10 is from/lives in France and has been a member of iSLCollective since 2013-03-05 23:54:44. lamb10 last logged in on 2015-05-06 19:21:34, and has shared 1 resources on iSLCollective so far.